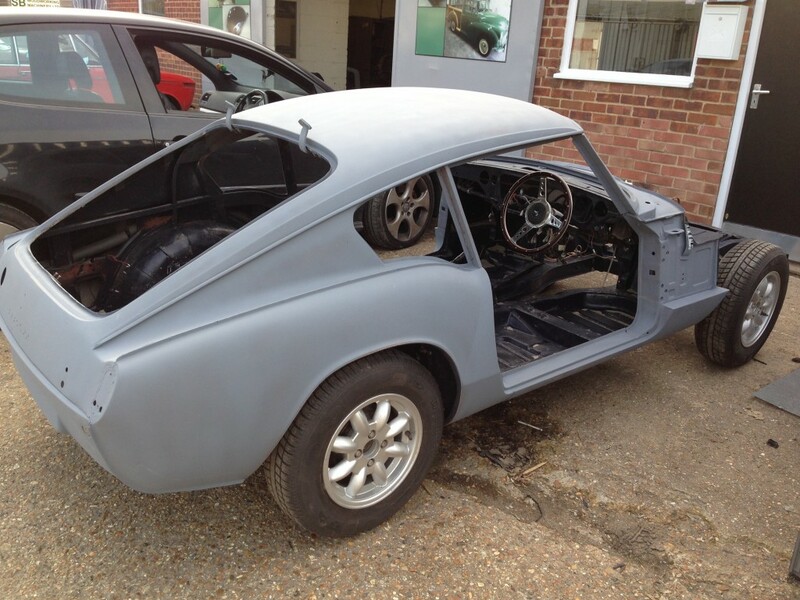 There’s something iconic about the Triumph GT6 that get’s our blood racing at White’s Bodyworks. 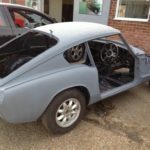 When one in need of some careful sandblasting, bodywork repairs and a serious coat of paint appeared on the forecourt, it certainly set some of our team purring with admiration. 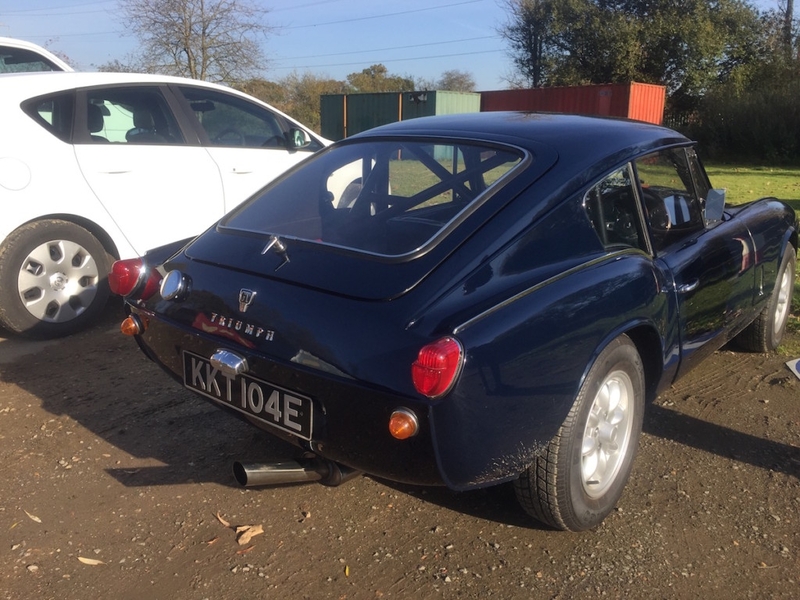 We love a good racing/sports car and the GT6 is one of the most memorable you could hope to see. 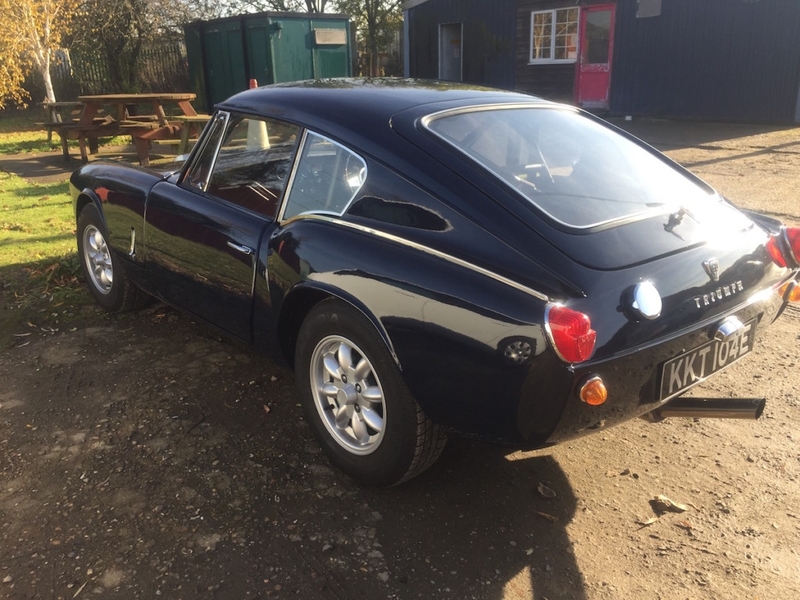 With its 6 cylinders and that familiar, throaty roar, the GT6 is one of the most beautiful classic sports cars to ever drive on UK roads. 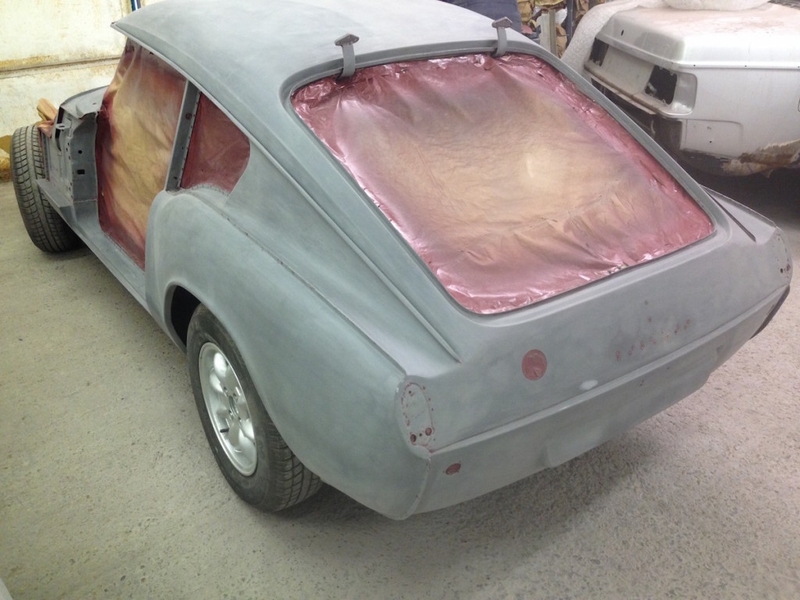 Design on it began way back in 1963 but it wasn’t until three years later that it went into serious production. 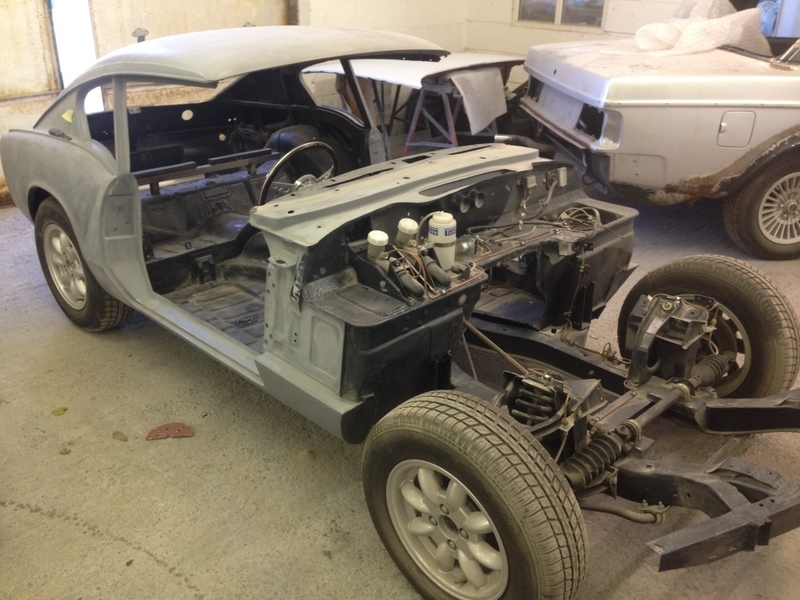 It continued to flow off the assembly line until 1973 and went through three different redesigns during that time. 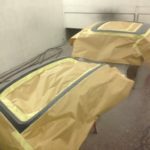 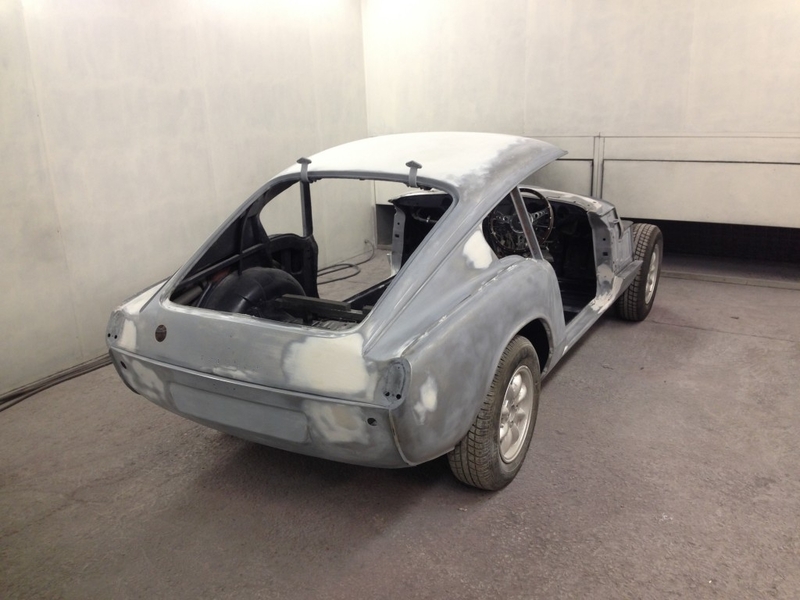 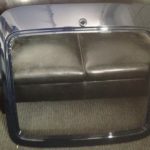 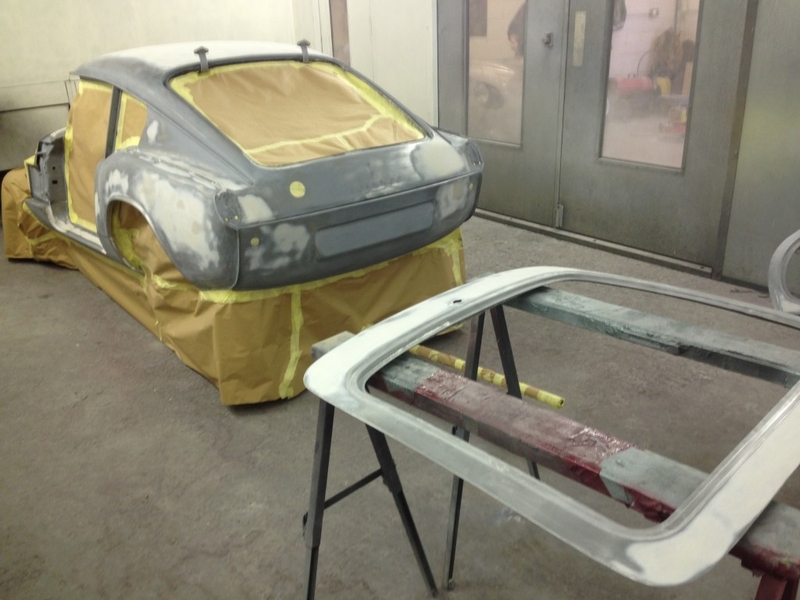 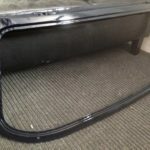 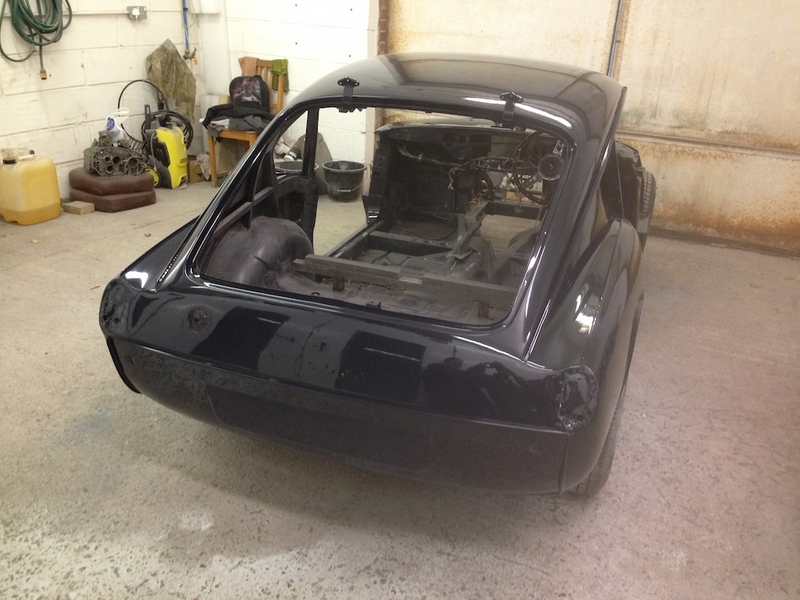 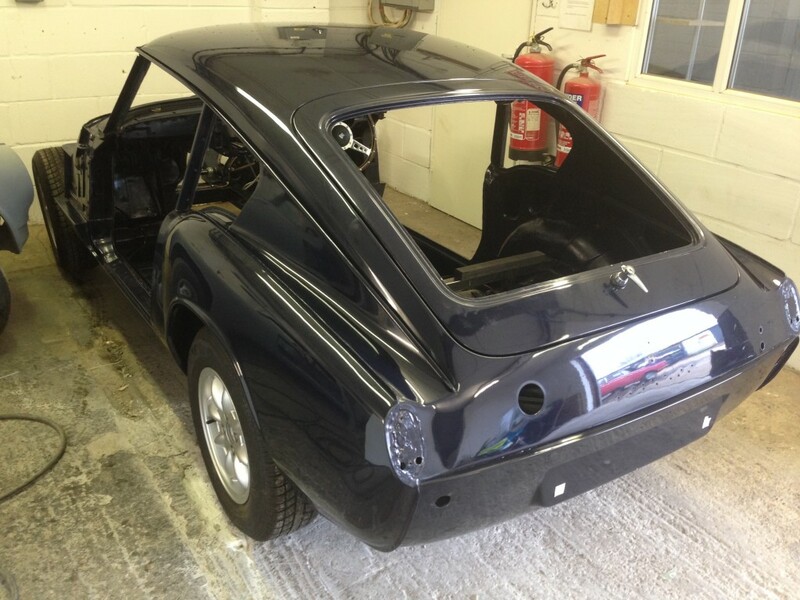 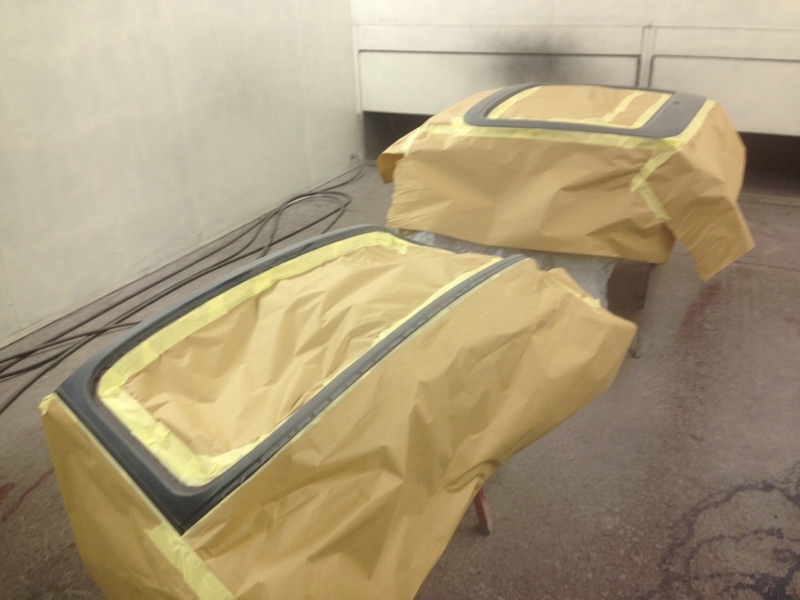 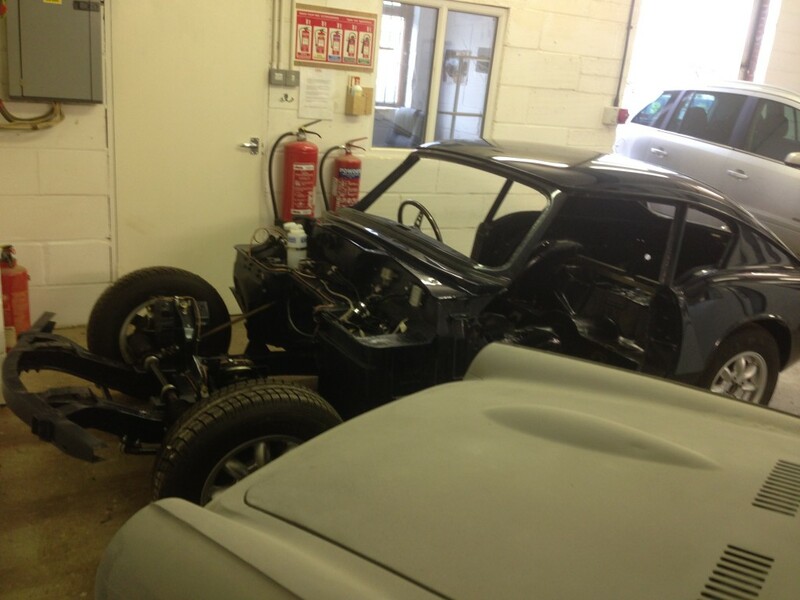 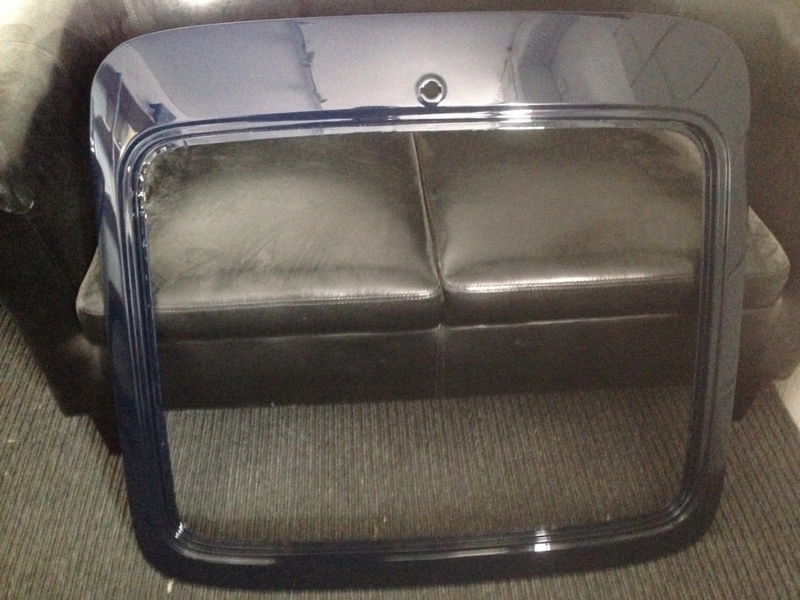 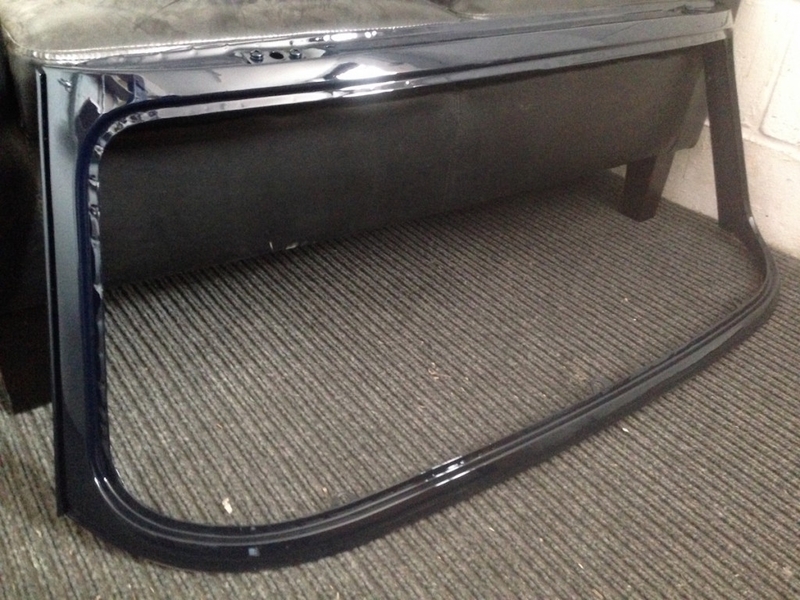 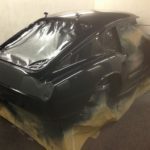 Bodywork restoration is one of the big jobs we simply love doing at White’s. 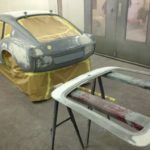 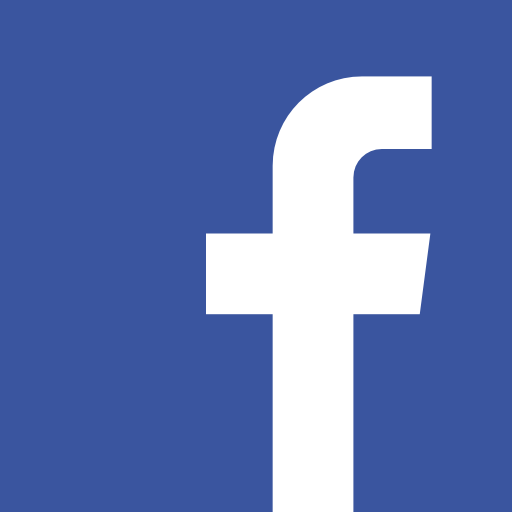 It’s something that we’re known for and has played a huge part in our growing reputation over the last 20 years. 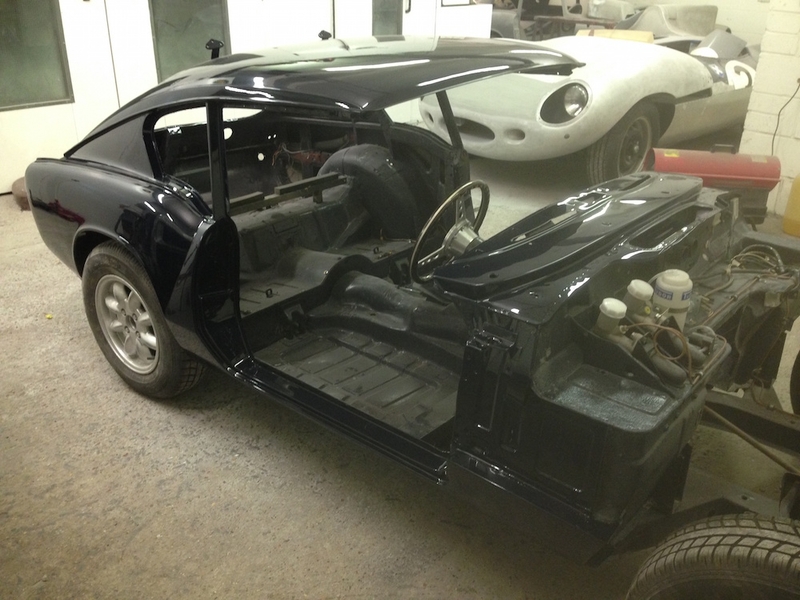 There’s nothing we like more than restoring a much loved vehicle back to its former glory. 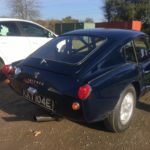 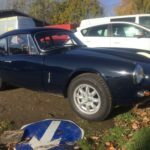 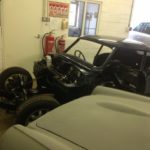 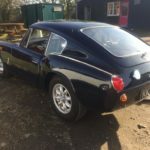 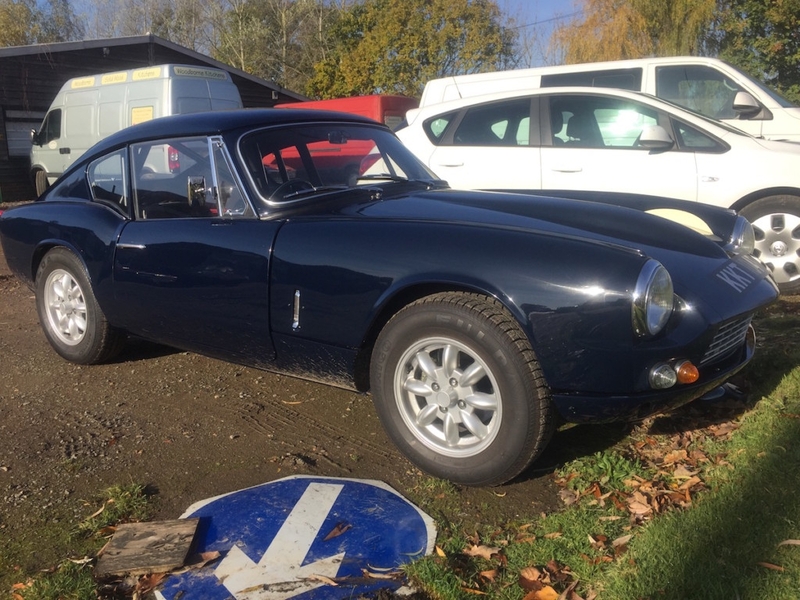 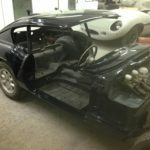 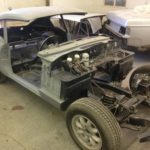 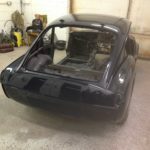 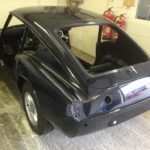 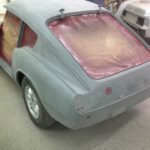 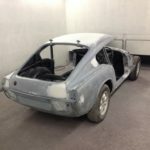 This job certainly required some considerable effort on the part of our classic car team – sandblasting, despite the name, is a delicate art, and restoring bodywork on a vintage vehicle is no mean feat. 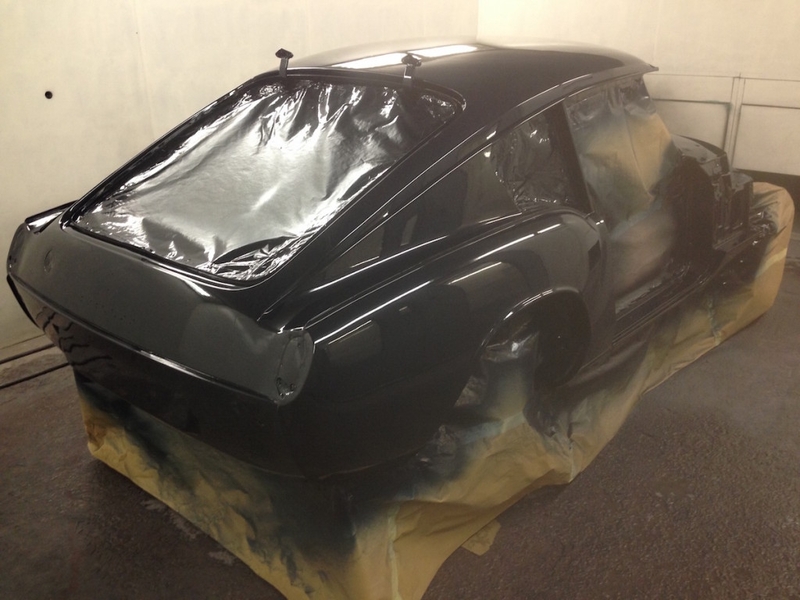 What we can say is that, by the time we’d finished, the GT6 looked as good as new.